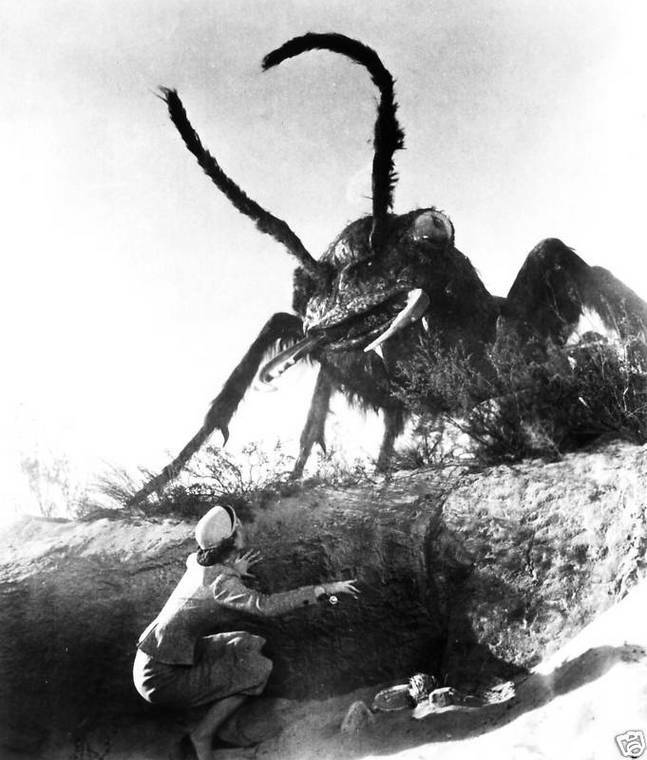 Severed Hands, Frightening Felines, Giant Ants, Zombies & Brain-Drilling Silver Spheres! 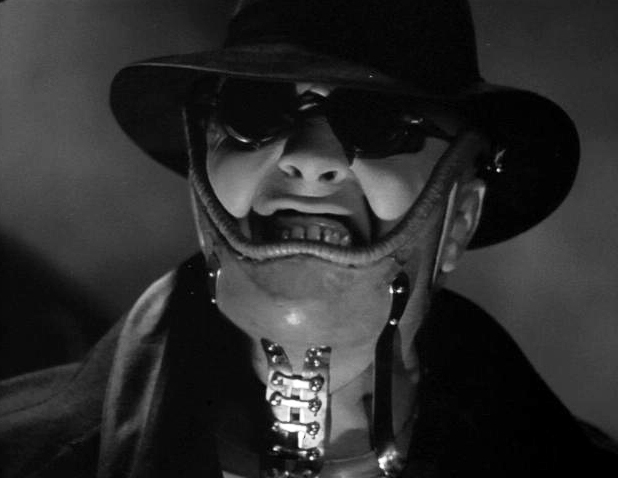 Only one week to go until the Frighten Brighton classic horror film festival hits town and tickets are selling like hot cakes! 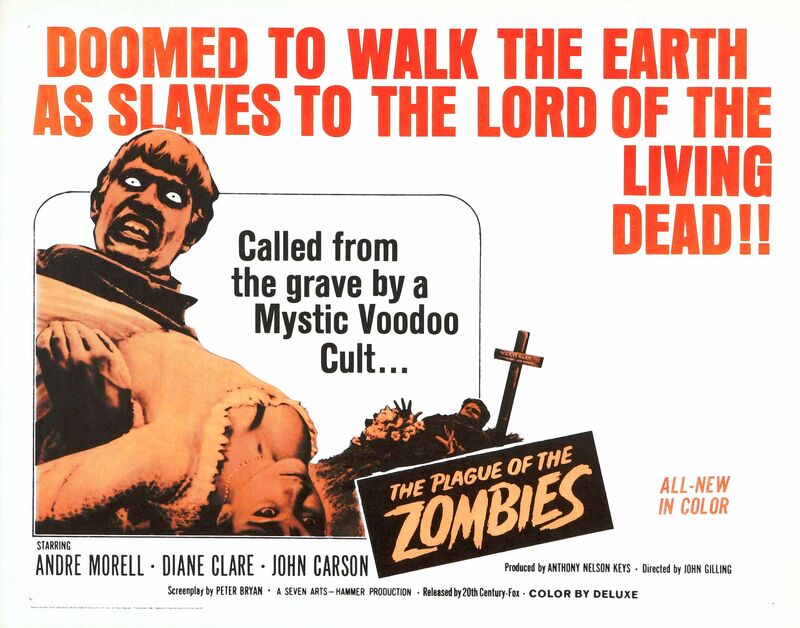 You don’t want to miss out on the thrills of Mad Love, the horror of the Cat People, the giant monsters of Them!, the Plague of the Zombies and the absolute terror of Phantasm – all on one exciting program for only £15! The Komedia Brighton is hosting a whole day of horror with Cyberschizoid and Scare Sarah of the Classic Horror Campaign and special guest star Emily Booth – star of numerous fright flicks as well as the premiere Horror Host on TV’s Horror Channel! Horror movie merchandise specialists Hemlock Books and top UK publication Shock Horror Magazine are also along for the ride so don’t be disappointed! 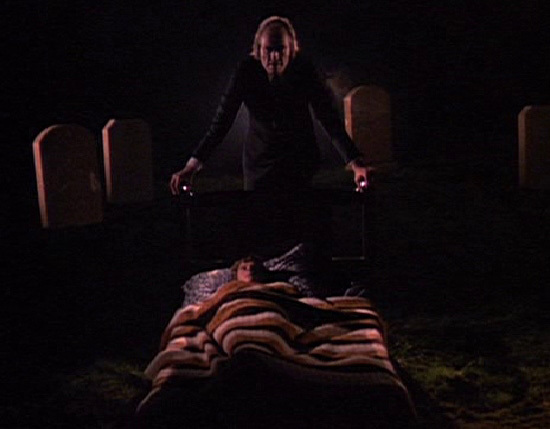 Creep along to the Komedia Crypt (or online box office as it’s otherwise known!) and grab your all-day passes now! 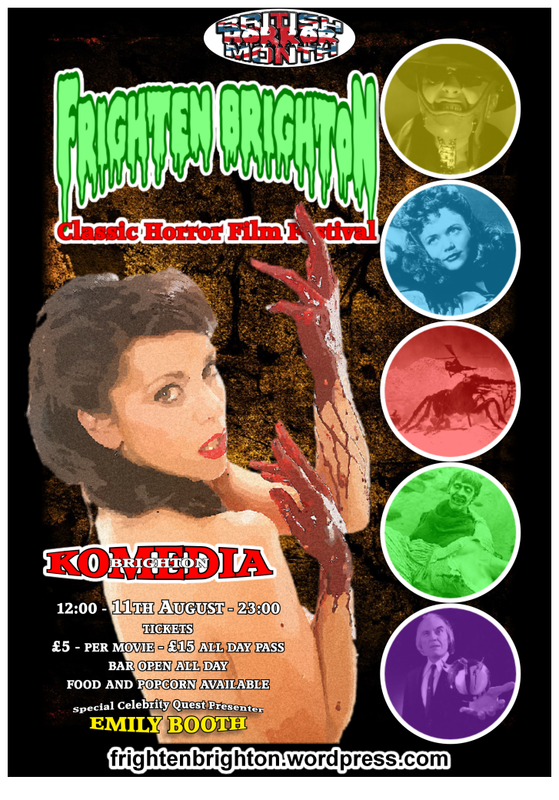 Tickets are now on sale for the FRIGHTEN BRIGHTON CLASSIC HORROR FILM FESTIVAL taking place at the Brighton Komedia on Saturday 11th August from midday till 11pm! Just head on over to the Komedia website and you can book an all-day pass for just £15!!! Yes, that’s right! 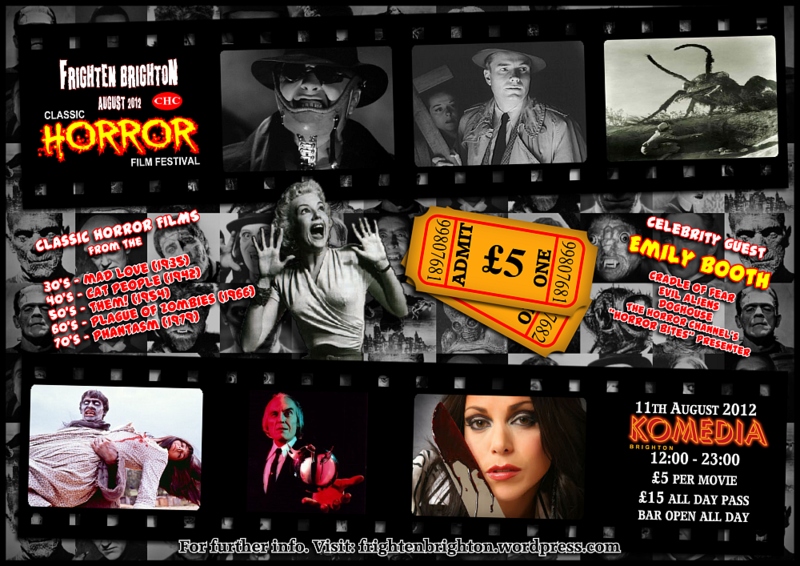 Only £15 for FIVE classic horror movies on the big screen!! As well as our spooky selection of macabre movies we have special guest presenter Miss Emily Booth, the Horror Hostess with the mostest from the UK’s Horror Channel! And that’s not all – the devilishly delicious DIABOLIQUE horror magazine will be supplying us with some FREE copies of their high quality glossy movie mag for some of our lucky attendees! The bar is open all day with food and popcorn available from the Komedia Cafe so you won’t go hungry and the Komedia venue is surrounded by cool independent shops including Dave’s Comics, Timeslip Cult Video Store and Cybercandy! So come along to Brighton’s ONLY all-day horror movie festival and have some scary fun by the seaside! 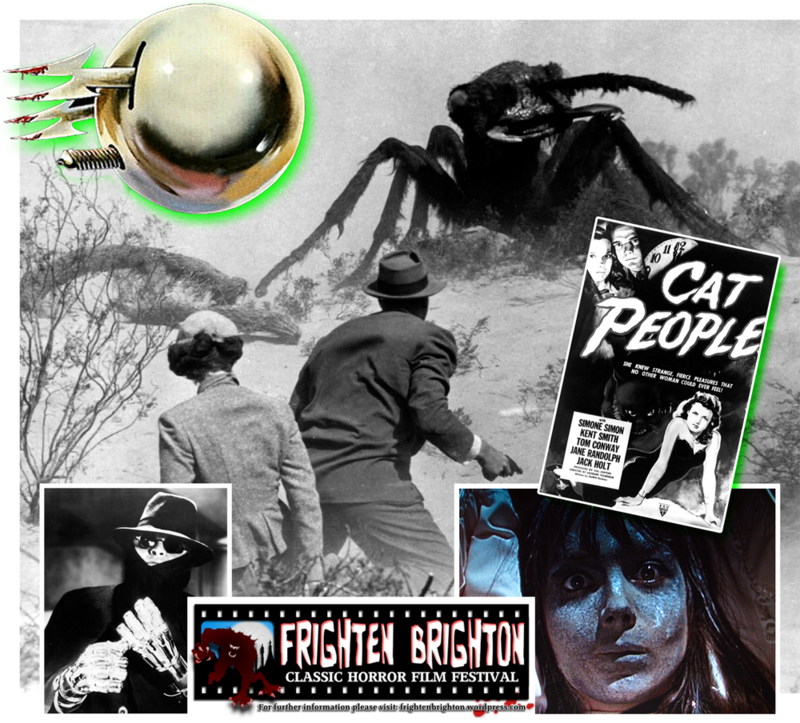 More exciting news to come, so stay tuned to FRIGHTEN BRIGHTON for all the latest horror happenings or sign up to the Classic Horror Campaign free monthly newsletter for all the latest updates and classic horror film events!